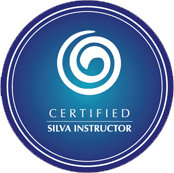 The Silva Method is a proven method of learning how to function at the alpha brain wave level. The training consists of simple guided meditations that teach you how to relax the body, which enables the mind to relax and reach a state of relaxed alertness. The Silva Method outperforms standard meditation for it is a proven way of using your mind to trigger more intelligence than you've ever thought possible.